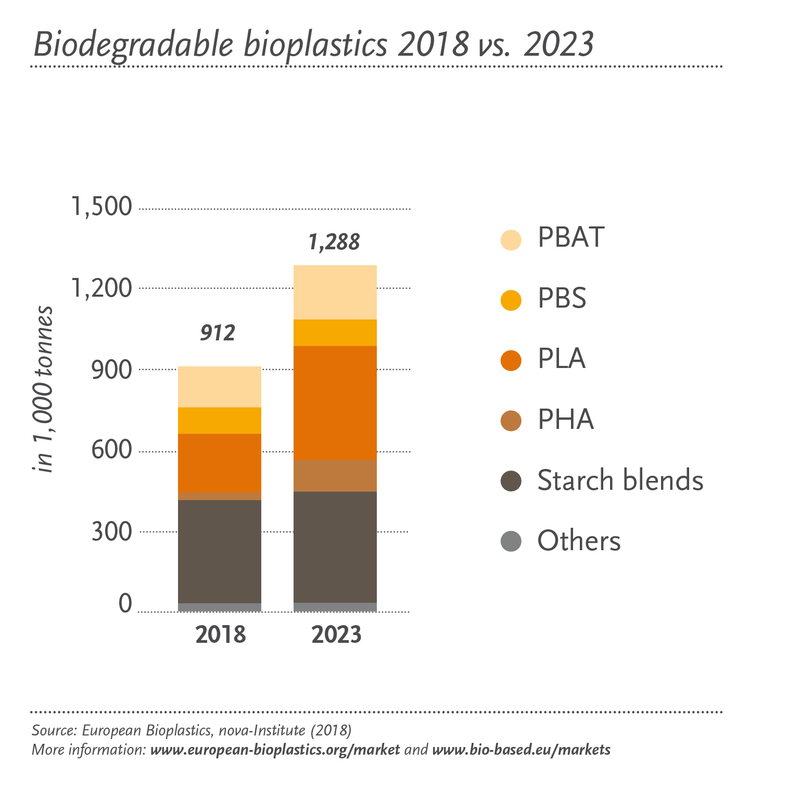 Biodegradable – European Bioplastics e.V. The property of biodegradability does not depend on the resource basis of a material. This feature is directly linked to the chemical structure of the polymer and can benefit particular applications, in particular packaging. Biodegradable plastic types offer new ways of recovery and recycling (organic recycling). 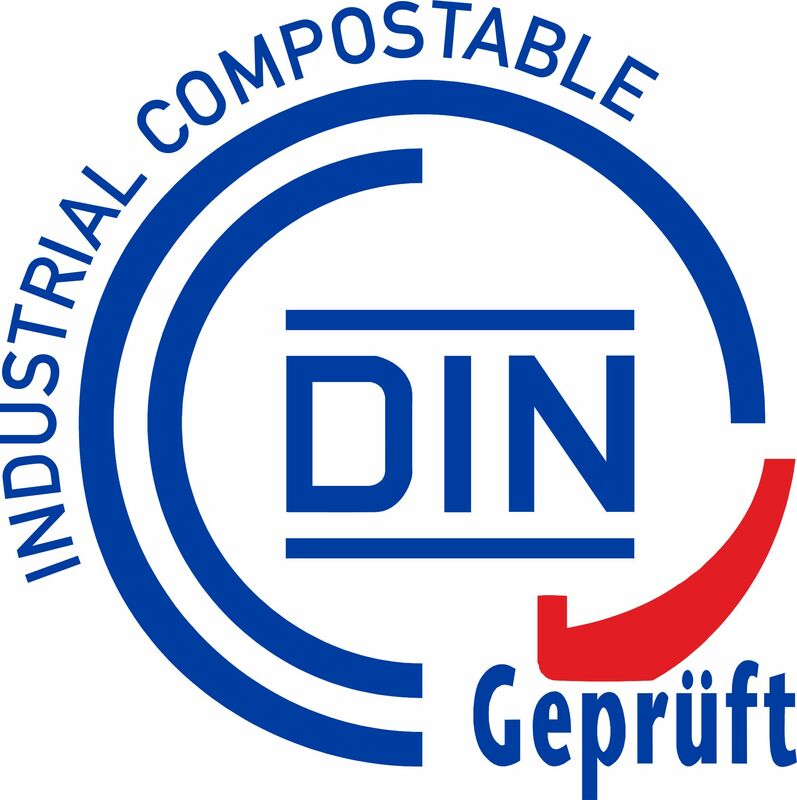 If certified compostable according to international standards such as the EN 13432 (preferably by an independent third party), these plastics can be composted in industrial composting plants. It is misleading to merely claim biodegradability without any standard specification. If a material or product is advertised to be biodegradable, further information about the timeframe, the level of biodegradation, and the required surrounding conditions should be provided, too. Wherever possible, European Bioplastics recommends to focus on the more specific claim of compostability, and to back it up with corresponding standard references (ISO 17088, EN 13432 / 14995 or ASTM 6400 or 6868), a certification, and an according label (Seedling label via TÜV AUSTRIA Belgium or DIN CERTCO, OK compost label via TÜV AUSTRIA Belgium). If a product is specified to be compostable, the claim is not only unambiguous (i.e. to be treated in an industrial compost plant), but there is another big benefit: It differentiates itself from products marketed to be ‘oxo-biodegradable’ or similar claims. Products marketed as oxo-biodegradable do not fulfil the requirements of EN 13432 on industrial compostability, and are therefore not allowed to carry the seedling label. Plastics that are advertised as being ‘oxo-degradable‘ or ‘oxo-biodegradable’ are made from conventional plastics and mixed with additives in order to mimic biodegradation. However, the main effect of oxidation is a mere fragmentation of the material or product into small particles that remain in the environment. These products to not comply with the standards for compostability and are not considered bioplastics. For more information, please see our corresponding publications or go to the chapter Oxo-biodegradability.